When you think of Christmas food, a lot of items may come to your mind. Turkey, nut roast, potatoes, mulled wine, perhaps even the dreaded brussel sprout? How about marzipan? The sweet and nutty treat is a firm Christmas favourite for many worldwide. When it comes to marzipan finesse, family-run Niederegger marzipan has it down to a tee. Most likely due to the fact that the business has been creating the sweet treat since 1806. Their festive collection boasts a variety of milk and dark chocolate covered confectionery, encasing a variety of scented marizipan. So, what did I think of Niederegger marzipan? 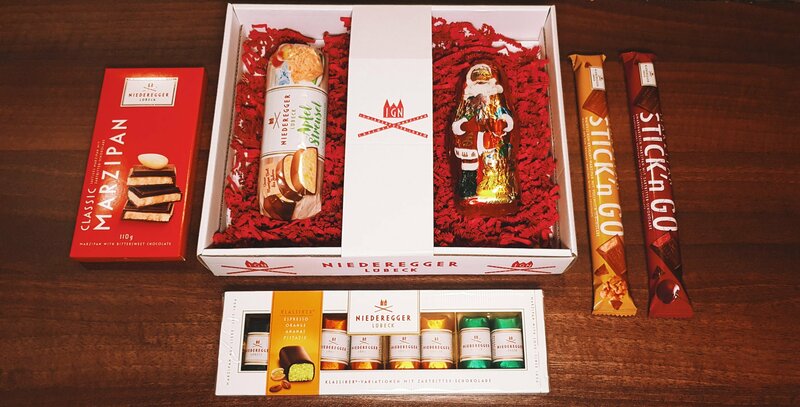 Niederegger marzipan offer seasonal gift packs and shaped products. As well as chocolate encased bars and standard ‘loaves’. Therefore, there’s plenty of items to choose from! What I love about Niederegger is that all their marzipan is firm and paired with a thin layer of chocolate. 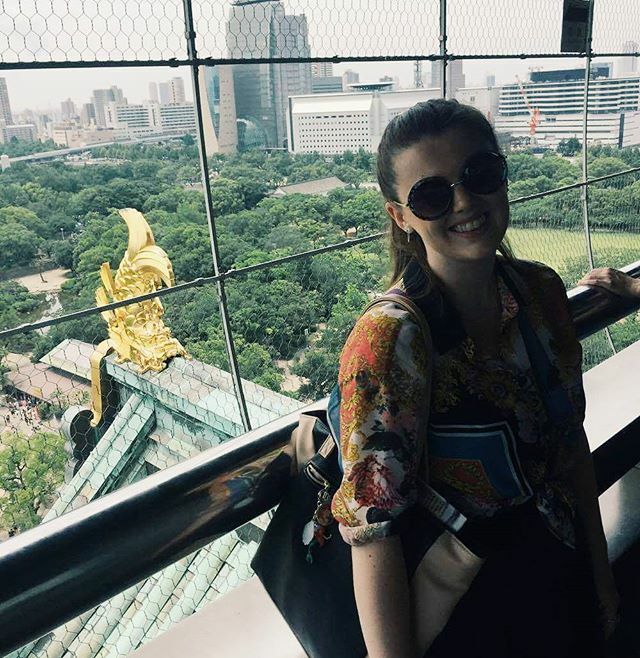 My personal favourite? It would certainly have to be the apple studel loaf. 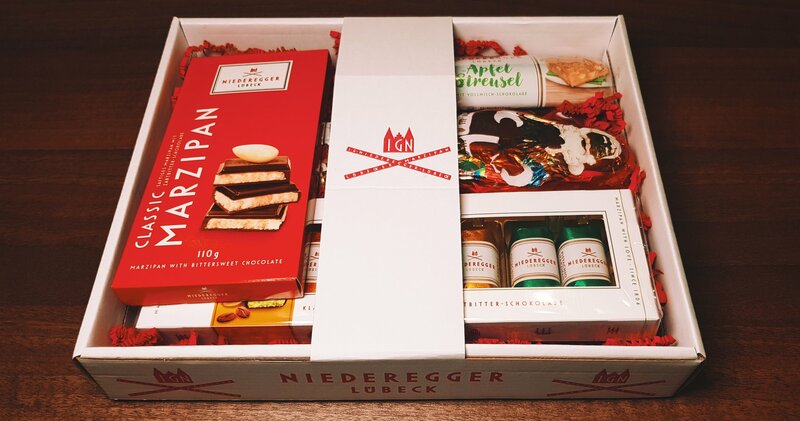 Have you ever tried Niederegger marzipan? What is your favourrite Chrstmas treat?